'Change' is often considered a negative, something to be avoided at all costs. But several U.S. Army Corps of Engineers Middle East District team members not only disagree, but have enthusiastically sought change and conquered any challenges they met. Their reasons for wanting a change in job position, title and responsibilities varied widely, but all successfully hurdled the negative and are now reaping the benefits of having faced change and won. 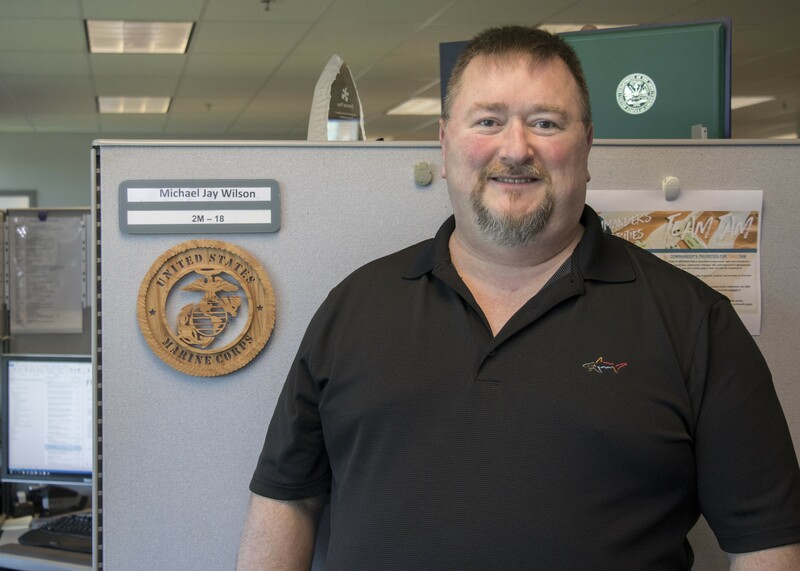 Michael (Mike) Wilson started his career as a Logistician, his chosen Military Occupational Specialty when he left Marine Corps Boot Camp in 1989. Since then, he has worked the life cycle of logistics: researching, ordering, tracking, receiving, bar coding, controlling, issuing, maintaining, retrieving, disposing and reorder. He did this for 20 years as a Marine, followed by almost nine years with the Army. "While I liked what I was doing, there was no potential for promotion in Logistics here in Winchester," Wilson said. After discussing advancement with his supervisor, he looked around, considered his options and set his sights on a Contracting Internship. He thought it sounded interesting and definitely like something he could do. "I knew I had to have a 4-year bachelor's degree in Business in to be considered for the internship or any permanent position," he said. So he wove school work into his daily routine and graduated in 2016. 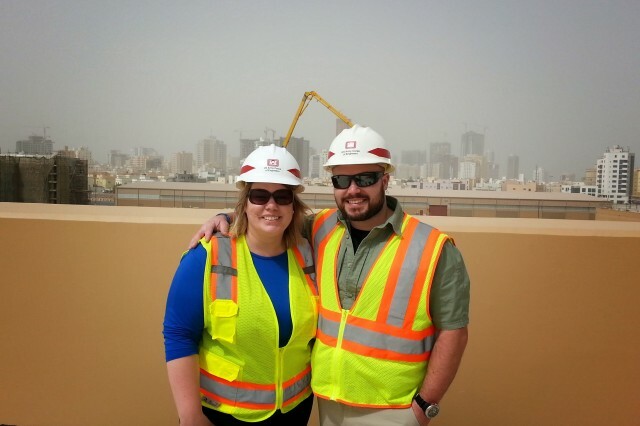 Wilson's degree was his first step toward achieving his goal, and he's now a DA Intern Contract Specialist in Contracting's Branch D -- Saudi Arabia/Bahrain. "I have been with Contracting for a little over one year now and still find this work to be more challenging and personally fulfilling," he said. "Plus there is potential for advancement here in Contracting." "My prior experience as a logistician enhances my ability to perform my job better. The knowledge of systems and databases used by both Logistics and Contracting has given me an advantage in helping my customers as I do not have the large learning curve to overcome. Also, my prior position gave me an opportunity to meet and build professional relationships that continually assist as I perform my duties as a contract specialist," Wilson said. 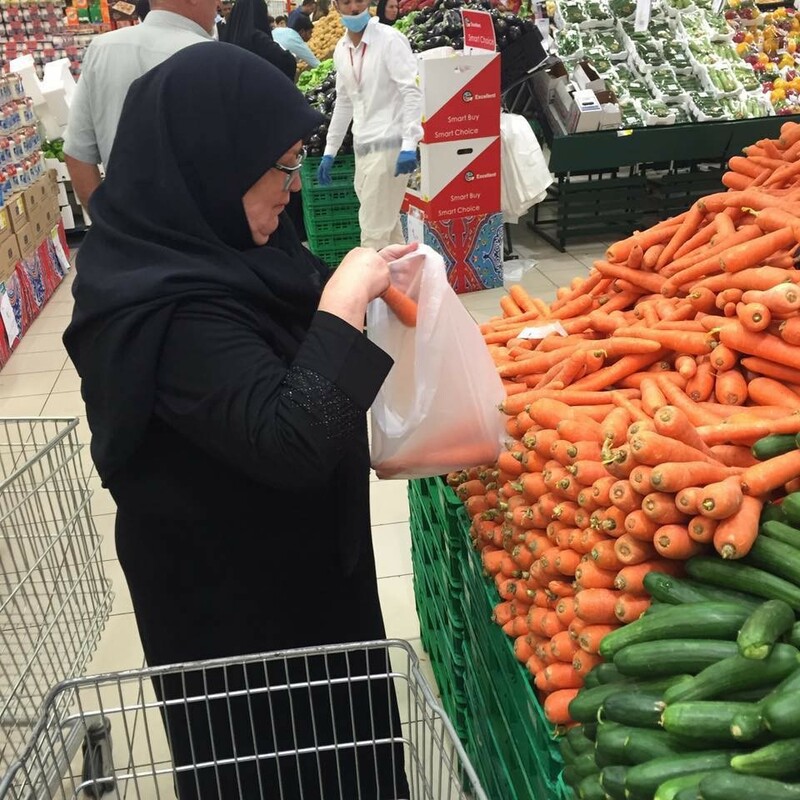 "I see the overall Middle East District picture much more clearly now too." When asked what advice he would give to a coworker considering switching, he was quick to respond: "Life is too short, go for what makes you happy. If we can make a better organization along the way, then all the better. "Don't let life's drawbacks stop or postpone your education," Wilson said. "Push through the bad times and you'll be in a better place a lot sooner with your knowledge and degree. "I am totally satisfied with my current position," he said. "The challenges now are ongoing and considering all the contracting sections here, I am sure to continue to be challenged until retirement. "Contracting is a great place to work, develop and attain promotions," he said. "With that being said, it is also the prime reason for a high turnover within the section. We are like family but opportunity is opportunity and it is always very difficult to turn down a raise and the potential for improved lifestyle satisfaction." Rebecca (Becky) Moser landed here with the District nine years ago for what she was sure would be 'just a job' and short term. "I was a Marketing Assistant, working for a company named COMPTEK, when it was bought out by a bigger company. I was given my choice to either become a general secretary or leave the company. And I left," Moser said. That's when she went to work for National Fluid Milk Processor Promotion Board, better known as the "Got Milk?" ad campaign. "After 10 years there, new senior leadership was going in a direction I just couldn't support because I had ethical concerns," she said. "So I took about three months off and came to work for the District in 2009. "I've been really fortunate to work with great teammates and supervisors that recognize my abilities and give me the opportunity to grow. 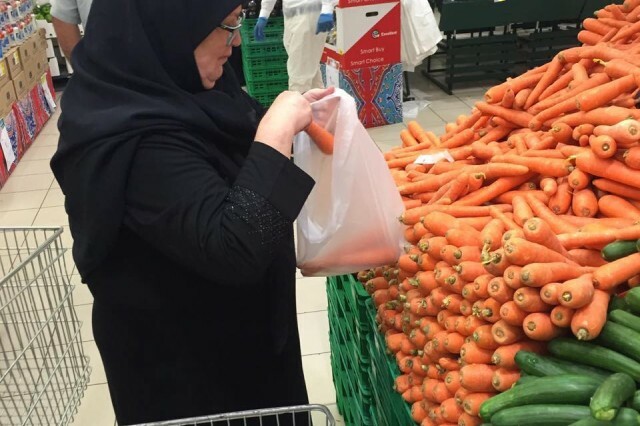 I really enjoy my job, and personally believe in rolling up my sleeves and getting the work done," she said. She says she has a much greater sense of purpose on the team I work with now. "While there is a great deal of shifting ideology with each new Commander, when we all remain customer-focused, we seem to get through those changes that come along with have a rotating senior leader." Moser's event management and public relations skills allow her to be involved in areas that typically fall outside of her job description and pay grade. And she likes to help others learn how to be better communicators. "A lot of people will tell you to follow the money. I couldn't disagree more," Moser said. "When I came here, I took a huge pay cut because I found myself in a place that was just no longer a fit for me after 10 really good years. There is no amount of money that could compensate for being asked to compromise your values. "So work at something you believe in," she advised. "It makes it much easier to shake off the tough days when you understand what you are doing is providing a better/safer/more secure way of life for our warfighters and partner nations." Moser, currently a Project Manager Assistant, said there are three ways to ultimate success. "The first is to be kind. The second is to be kind. The third is to be kind. That's a quote from Mr. Rodgers and I strive to bring this philosophy to work with me every day," said Moser. Peter (Pete) DeMattei, armed with a Bachelor of Science in Business Management and a concentration of Entrepreneurship, was in business for himself. He had a residential construction company. During the housing market crash and ensuing recession, he had to shut down his business and sell his properties. "I applied for all kinds of jobs and was working at Home Depot for a while," he said. "Realizing there wasn't much longevity or promotion potential for me there, I kept looking for something better." DeMattei's father is a retired Navy Chief Warrant Officer with 26 years of service and his mom is a retired Navy Captain. Both are currently federal employees at Fort Meade, Maryland. So it's not surprising, with such strong federal government roots, that DeMattei's dad suggested a federal government internship. "So I started doing research and looking into Federal jobs," he said, "but sadly, there were only vacancies for current or former federal civilian employees. Finally, after a year of emailing the former chief of Contracting, Carl Stubbert, here and right before I moved to Texas to work on the oil rigs, I was given the opportunity to apply and interview for one of two slots for the Department of the Army Contracting Intern Program in Winchester, Virginia. "I prepared, dressed professionally, and arrived early," he said. "I explained to the gate guard that I had an interview but the guard wouldn't let me in. He told me that I wasn't in the Visitors Management System. I told him I knew I had the right day and there must be some mistake, and asked if he'd call Mr. Stubbert for me. "He did call and he put me on the line. It turned out my interview was supposed to have been a telephone interview -- a vital detail that had not been relayed to me," he said. "So I drove down the street, sat in my car in the cul de sac and was interviewed by phone." Later in 2008, DeMattei started as the intern program with Contracting at the District, doing small contracting tasks while taking classes -- online and residential. "When I went to work for Christy Loy in 2010, she really allowed me to learn by doing," he said. "Because it was such a small team, she tailored my work so I was able to broaden my experience. As I developed, she gave me projects in services, supplies, FMS, Humanitarian Aid, MILCON, and Construction. She offered me wonderful experiences, and I got to travel extensively including Kosovo and several Central Asian countries where we were working. 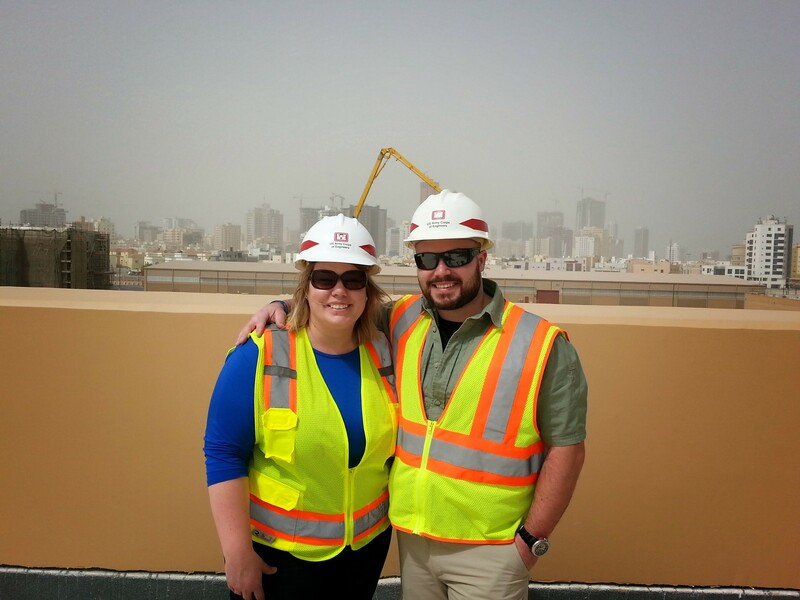 "Everything I really learned in Contracting came while working for Christy," he said. "To me, she will always be a perfect example of a KO, one who can effectively balance contract law, construction processes and mission requirements. "Christy put Mike Taccino, who was hired as the second DA intern slot, and me onto a team for the Egypt FMS Program," he explained. "Once we were up to speed, Mike and I naturally began to split up roles based on our preferences. Mike, with a Legal background, preferred the pre-award side while I, with my construction background, preferred the post award side. We were one heck of a team that could fill in for each other at a moment's notice. We co-administered more than 24 FMS supply contracts valued at over $151M." DeMattei liked to travel and see the construction actually going on. "For me, it's a much more exciting aspect and I started to realize that I preferred post-award, where sound decisions constantly have to be made quickly, over pre-award." Devoted to his education, DeMattei applied to the Naval Postgraduate School for their master's program several times. When he was accepted, however, the funding wasn't there. He ended up attending Auburn University instead, earning a Master's of Building Construction. "That education really benefitted me as a Contracting Officer -- having that knowledge on top of everything else," he said. 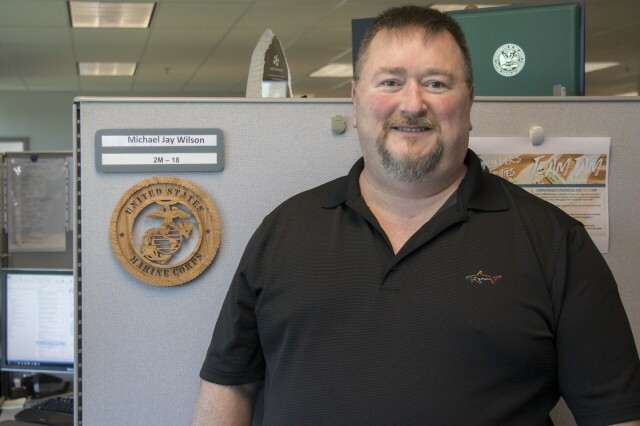 "At the time, I was KO and worked with NAVFAC. We held bi-weekly conference calls, worked on partnering, roles/responsibilities. I was always responsive and had an awesome program and customers." DeMattei had a very good reputation as a Contracting Officer. In December 2016, he got his official offer to move over to Project Management. In January 2017, then-commander COL Patrick Kinsman along with Director of Programs Tom Waters asked him to take over the Bahrain Program. "I made the switch to Project Management about a year and a half ago and I'm glad I moved," DeMattei said. "Project Management is a completely different career. We work very closely with Contracting and Engineering, and I had already built professional relationships with team members from both. "All projects are different," he said. "And it's not just depending on whether we're doing a Foreign Military Sales Case or something for the Afghan military or for our military in the AOR. You could be building the exact same facility in the same country for the same customer and still no two will be alike. "In the end, I'd like to be remembered for my service, my integrity and my honesty," he said. "I feel extremely lucky to have a job that I love, a happy family and great opportunities to grow and thrive at work."